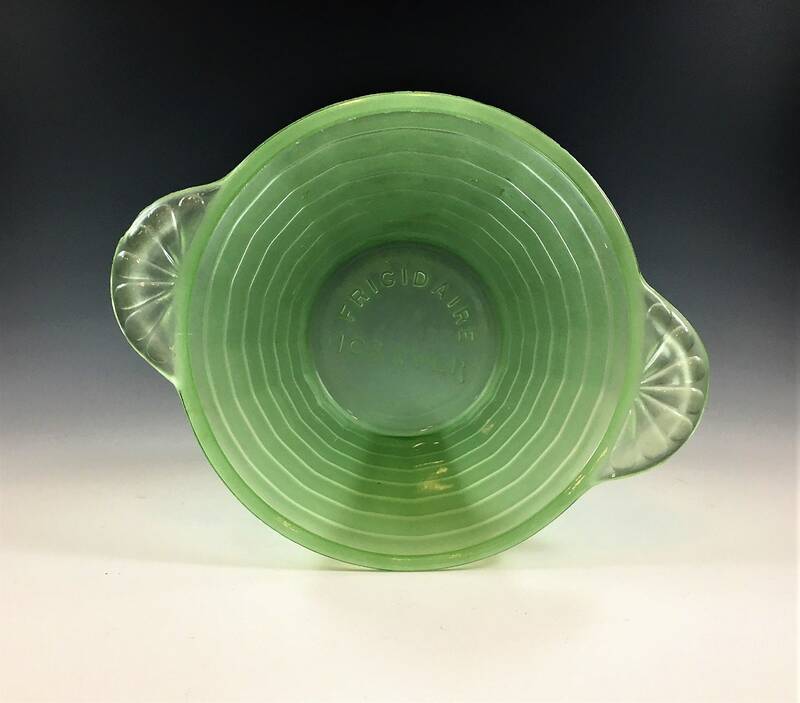 Featured is a beautiful piece of green Depression Glass by Hocking and part of their Block Optic line. 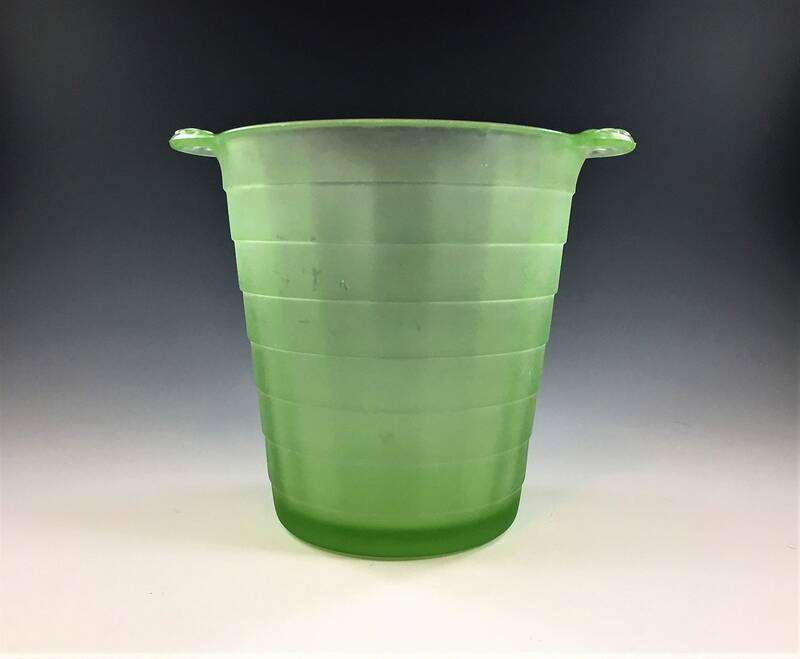 This handled ice bucket was probably an early give-away with the purchase of a new fridge. 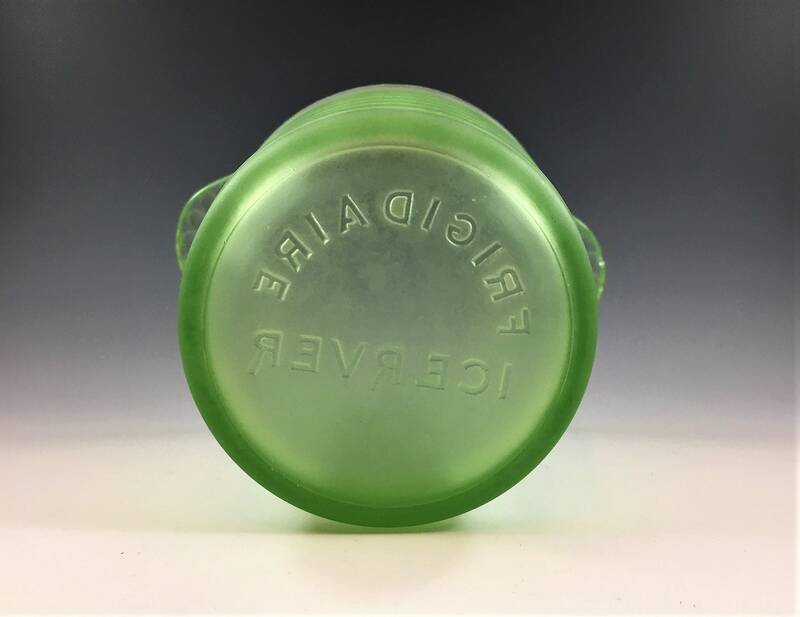 Marked "Frigidaire" and "ICERVER" on the bottom, this piece measures about 5 1/2 inches tall and about 5 inches in diameter. 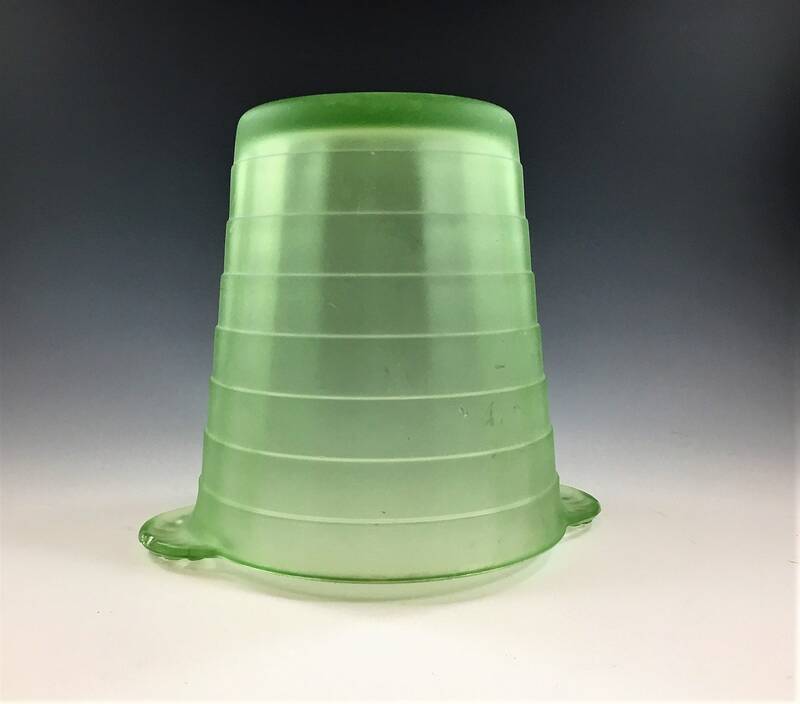 It is in good condition with a small chip on the underside of one of the handles. 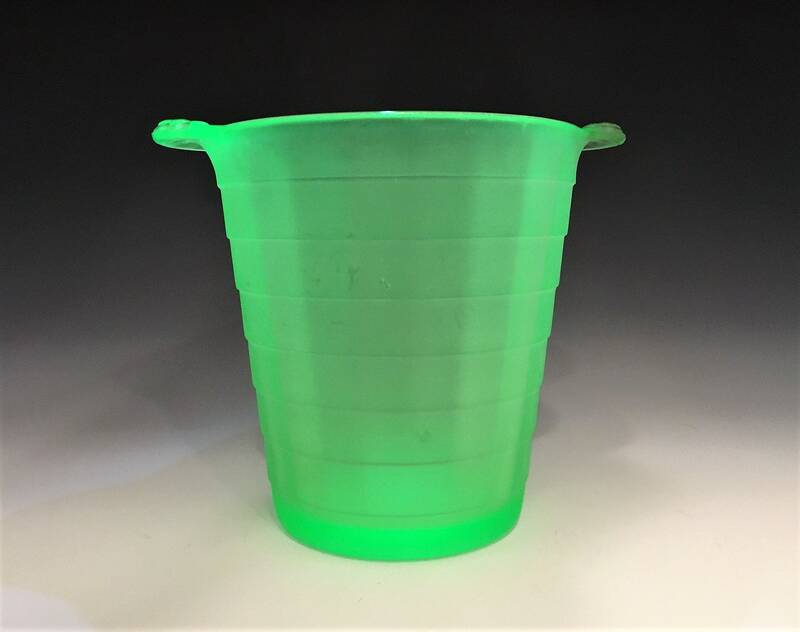 This is uranium glass so it glows magnificently under UV light (see photos).